How is it that January has now come and gone?!? be it real or simply just with our decor! big bin of St. Valentine's decor! Christmas or a birthday all over again! Don't you just adore the quieter, softer side of romance? Cupids, hearts, roses - all say LOVE! So....who holds the keys to your heart? as I dig around the seasonal boxes and find my treasures! Hope you come back and visit again soon. for one I owe sincere gratitute and thanks. Can't wait to see what else you have! I heart your Valentine decor, Michele! Matthew Goode holds the key to my heart. Hee! You have some beautiful Valentine decor and I am looking forward to seeing more. My son and granddaughter hold the keys to my heart. Have a wonderful week Michele. There were some cute things in your big bin. I love that feeling too. Opening a tote full of treasures stored for the year. I look forward to seeing more of your Valentine's Day decor. Your house is so pretty with all the sweet decorations. 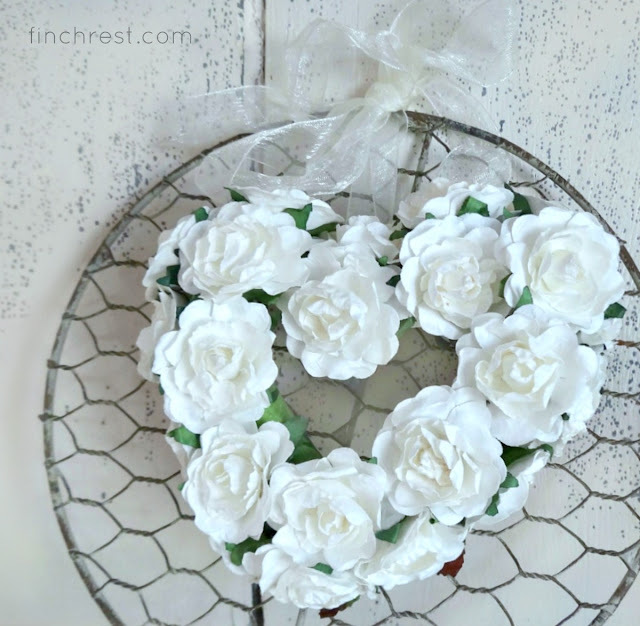 I just started decorating for Valentine's Day today - we have a birthday party this week so I wanted to get a head start on decorating this weekend. Oh my, it is the first of February! How the year is going by again. Time to bring out all those Loving memories from last February! Valentine Day will be here before we know it. I love your softer side of it! Thank you for sharing your pretty February decor. What pretty, romantic touches around your house, Michele. I love anything with cuspids, and angels year round. Your teacup is a beauty, too! A delightful visit to your lovely blog today; my first time visit, I believe. It is hard to wrap the mind around the fact that January is over and here we are at the beginning of Heart Month. No regrets though for I lived January in the way I wanted it to unfold. Isn't it romantic?! You will have your home looking simply adorable. I don't think I'll bother much with Valentine's Day here, though I certainly love seeing what others do and I know that you'll have a Valentine's Tea or two for your friends. I hope! Such beautiful understated Valentine decor! 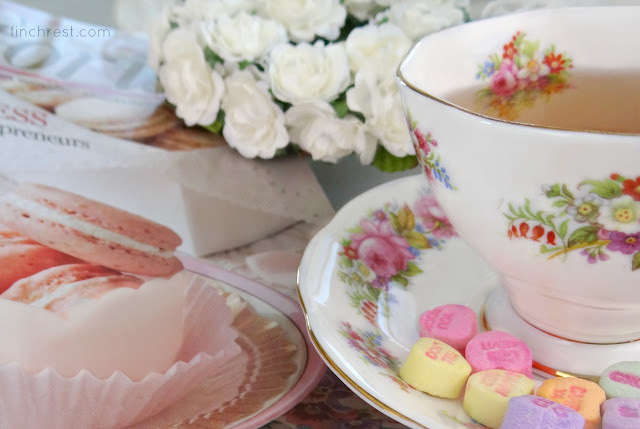 I really like the photo of the teacup with the classic heart candies along the saucer. I'm slowly acquiring more Valentine's Day decor. I also like opening the bin and seeing "new" items for the first time. Makes the after holiday sales all the more special. Look forward to seeing more of your pretty decor! These is so much romance and beauty here, sweet friend. Your hearts are simply stunning and so perfect to enjoy during this "love" month. Thanks for joining Roses of Inspiration. Love and hugs! 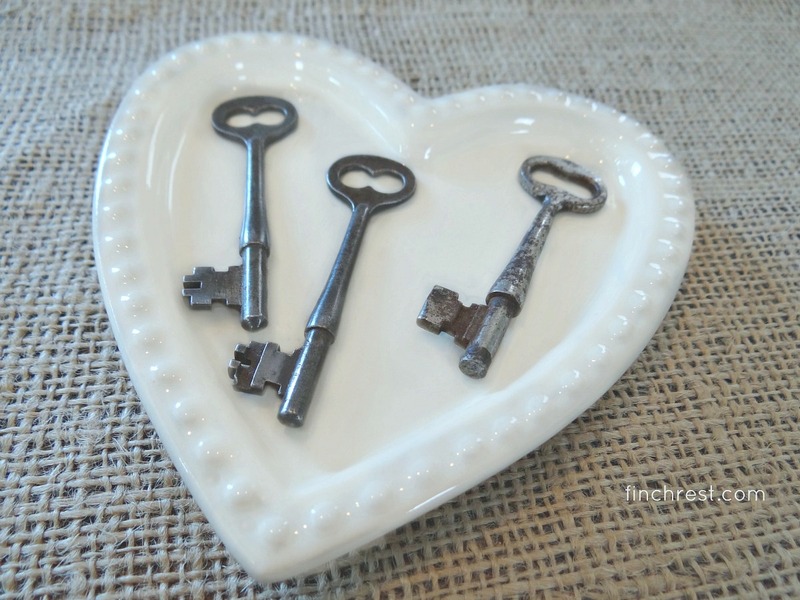 the three keys on a white heart platter...? swOon. Hello, What beautiful Valentine decorations that you have! I have just started collecting things for my home, I have always decorated for all other special seasons. I do hope to be inspired to collect more items after seeing yours! How very pretty! 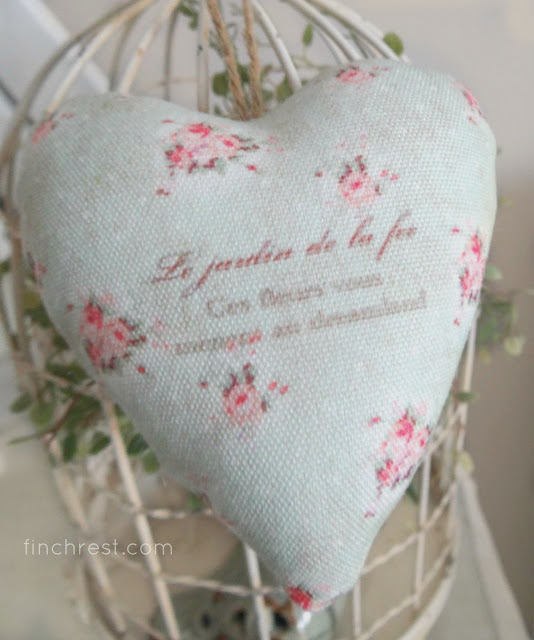 I have a few Valentine items but have not put them out yet. Guess it is time to get a move on and do so! February did creep up on us all, didn't it? The blog following used to be easy, but Now! Thanks for visiting! Love all your festive touches! You are right, February did sneak up on us! I am happy that January is past, and we are one month closer to spring. Yay! I love your valentine pics, they are soft and romantic. Thank you for the LOVE inspiration! What beautiful and romantic pictures! I really enjoyed my visit :) I found you via Roses of Inspiration. I am so glad February is here because that means spring is on its way! :-) I don't really decorate that much for Valentines Day. A few little touches and that does it for me. Not only that my house is in disarray right now because we're painting. Ugh! Can't wait till it's finished. I really like the keys on the white heart! Thanks for sharing the love. Your softer side is so pretty. Amen, sister! It's hard to believe that January is over with already!! So pretty Michelle! Love the cupids! 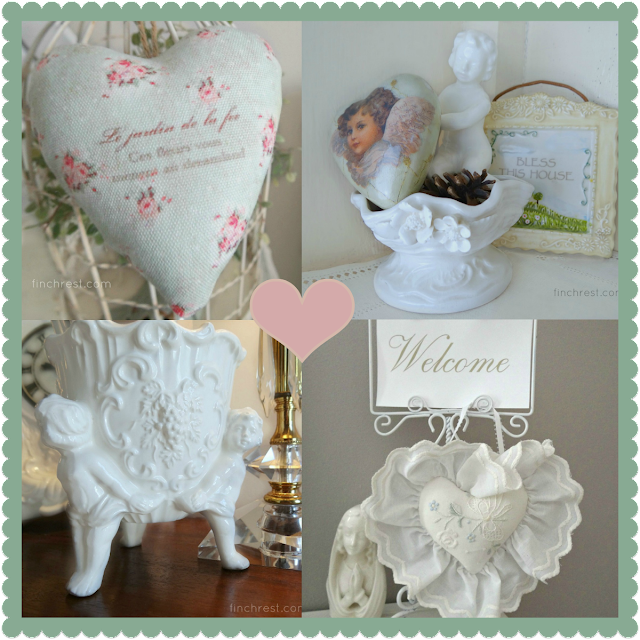 Love your sweet romantic touches Michele! Your hearts are both gorgeous. I am a romantic at heart and love Valentines Day! Lovely decorations! All is so romantic! Your Valentine's decorations are sweet and romantic. 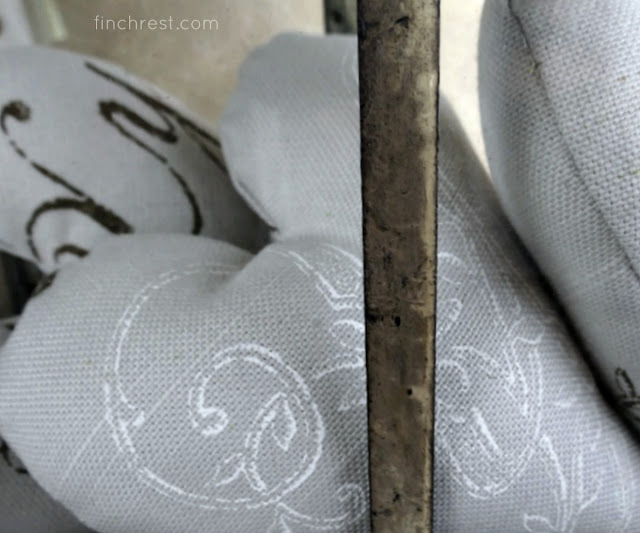 They have an old world charm that bring pleasant childhood memories to mind. 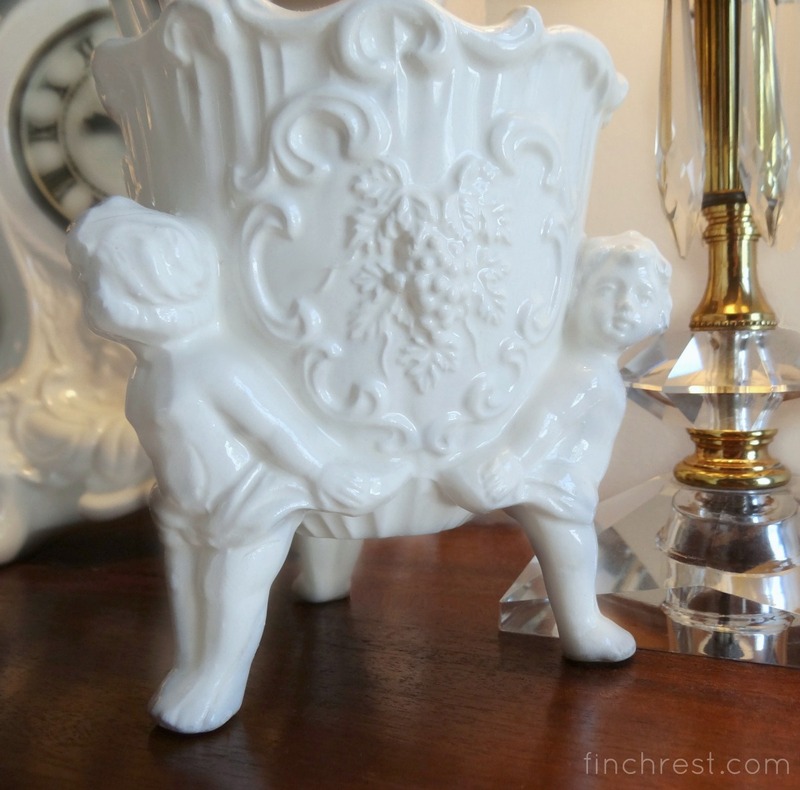 I particularly love the adorable cupids flower vase. I love February because it celebrates romance, friendships and lots of chocolates. PS and it is also the month of my birthday. I love all your decorations. You have a nice flair for decorating. I try not to be whimsical but it just slips up on me! Ha! Love your cupids. So glad you shared - I am responding from the grocery store coffee shop in Missouri! Oh, a woman after my own heart - hearts everywhere! I am going to copy your idea of keys in a heart shaped dish. I have the dish on a shel and I just have to find all of my keys. Michele I do indeed love the softer side of romance and this post is speaking my language! I would love for you to link up this post on the inaugural edition of Thoughts of Home on Thursday. I think readers would really enjoy it. There is also a giveaway associated with it. Every link is entered into the drawing. Hope to see you there! 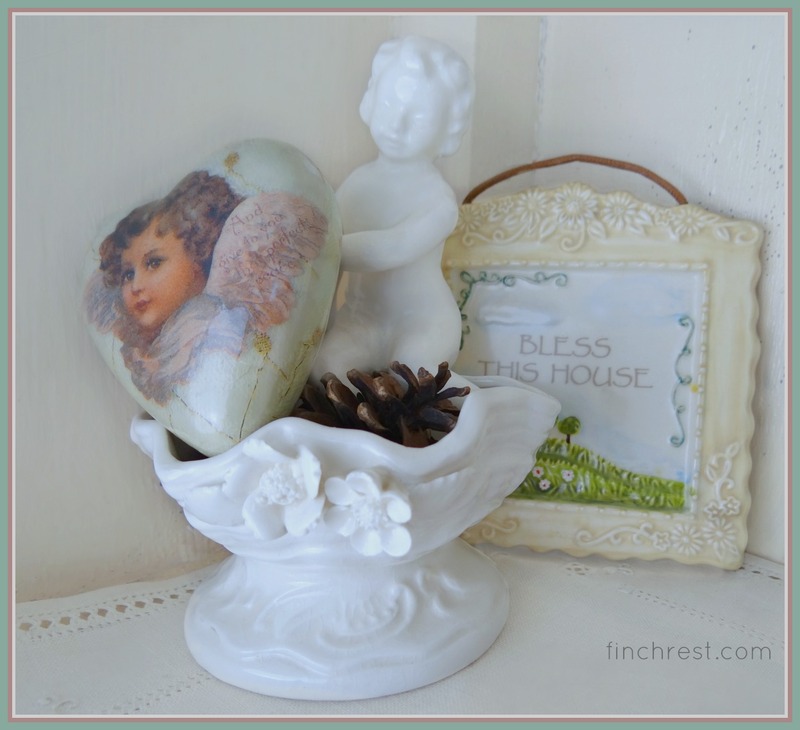 The silver keys in the white, porcelain heart-shaped dish are darling! Have a lovely week, Michele!